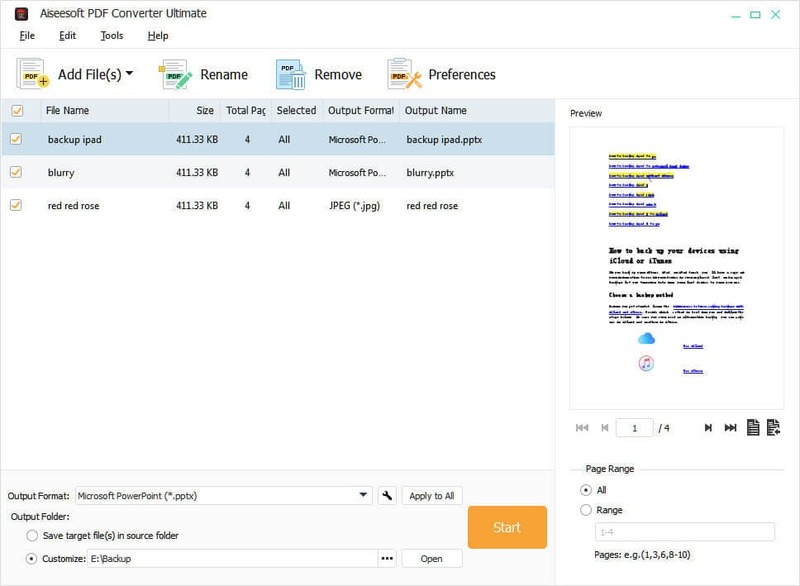 Aiseesoft PDF Converter Ultimate is specially designed for users to convert PDF to Text, Word, Excel, EPUB, PowerPoint 2007, HTML, and image(TIFF/JPEG/PNG/GIF/BMP/TGA/PPM/JPEG2000) format. And users can define the image size, color, quality, customize output layout, text encoding, image format/quality/resolution, etc, choose the output language, and convert self-defined page(s) or all pages. Moreover, it has been added Digital Signature function. Perfect app to save all personal docs securely encrypted, on USB. Merge multiple PDF and image files into a single PDF document.